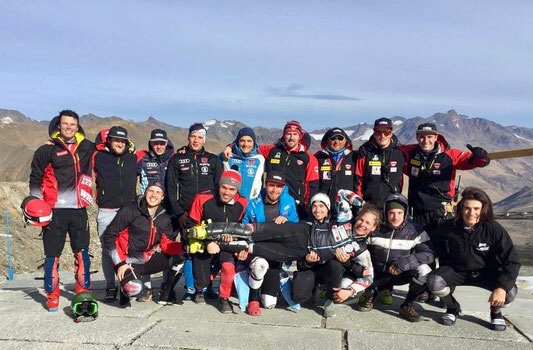 The World Racing Academy is an Alpine Ski racing school founded by Daniel Fahrner 2010. Together with his son Martin Fahrner he is leading the WRA. We started the WRA with Athletes like: Urs Imboden (MDA), Christophe Roux (MDA), Stefan Kogler (GER), or Nicole Gius (ITA). Patrick Thaler (ITA), Riccardo Tonetti (ITA), Philipp Schmid (GER), Dominik Stehle (GER) or Filip Trejbal (CZE). Our target is to improve EVERY racer who joins the team. We try to bring them to their personal best level! For this goal we give 120% and work as hard and professional as possible. With fun and hard work we achieved already a lot of success. We have a lot of experience in the Ski circus and we know what it need to push athletes to their limits. Our idea is to help also the small nations to work together for better training possibilities and better compares with World Cup athletes. That also small nations like Czech or Latvia have a chance to make good results at the Ski World Cup. Small nations have no chances anymore to keep the level alone as high as possible and the World Cup is getting more expensive. For training possibilities often you need to pay a lot of money, so our credo is together we are strong!